A great report about the city life in the Rwanda's capital. Devastated by the 1994 Genocide, the city is now considered as the safest and cleanest city in Africa. How well do you know your capital city? Even some of you who were born here have not discovered many of Kigali’s jewels. The Society Magazine team has done the hard work for you and it presents to you the best places to visit Kigali. This is a platform for all artists, arts lovers, culture professionals, activists, critics, entrepreneurs and everyone else who is passionate or just curious about traditional and/or contemporary modes of artistic expression. Ishyo also hosts different events related to fashion, plays, music and different other aspects of culture. It usually hosts experts from different countries to train and work with Rwanda artists, encouraging cultural diversity and improving skills. It is also home to the Goethe Institut - well known for its movie night every Tuesday evening. You will find a lot more than movies as it also organises brainstorm debates every last Thursday of the month. 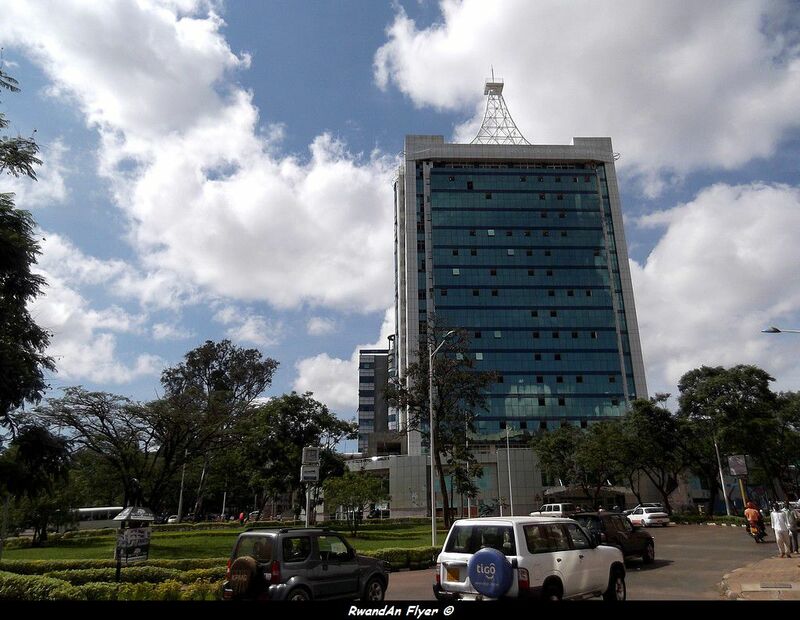 Kigali City Tower is located in the city centre. This blue, curvy building with a protruding stick like part of it at the top can’t be missed as it is our only real sky scraper. It is the tallest building in the country with 18 storeys of well designed architect and beauty. From the outer look it may not look that big but when you enter, it might take you all day just to see everything in it, ranging from supermarkets, offices, restaurants, boutiques, gadget shops, radio stations and do you know what else? Rwanda’s new 5D cinema is also there. There is no way you can classify Kigali City treasures and not mention Mamba Club. It’s located in Kimihurura in front of Top Security headquarters. It is a bar and restaurant and even has several health fitness facilities ranging from a swimming pool, a hot yoga facility and it is Rwanda’s only bowling alley. Besides the bowling alley and comfortable lounge, there is an area with sand to play beach volleyball. In other words you don’t need to go to Gisenyi to enjoy beach volleyball. Bowling is an American game that is enjoyed by both children and adults. It’s relaxing and fun especially if there are two teams competing. It is a wonderful place for people of all age groups. For example during birthday parties for children, bouncing castles are set up for the children to have fun. Like a diamond that has many facets, Kigali, the capital city of Rwanda has many faces. For those who prefer the literary one, I am sure you cannot leave without visiting the Kigali Public Library. Located in Kacyiru opposite the American Embassy, the standard fare from everywhere is 200 Rwandan Francs, except of course for those who live in Kacyiru. The building stands proud and majestic facing the sun and proving the UNICEF report that almost seventy five percent of Rwandans are literate. The library has several sections including children and teenagers and adult sections which all have several collections and reading areas. The building also has an African section that includes history and literature, an internet café which enables the readers to have access to the Library and a reference section. Most people around the world know our small country as the home of one of the most atrocious massacres that have ever been carried out between brother tribes. The 1994 Genocide against the Tutsi left over a million dead and many others wounded. With this background, one cannot expect to come to Kigali and leave without visiting the Kigali Genocide Memorial. Beautifully decorated, the centre stands on the site of 250,000 mass graves. The centre is a must visit if one is to learn the root of Rwandan persistence and optimism. The museum is dedicated to Dr. Richard Kandt, a German doctor and explorer who embarked on the exploration of Rwanda in 1897, searching for the source of the Nile River. The Nature History Museum aims at examining the richness of Rwandan nature. This museum showcases many specimen and replicas of natural wonders of the country. As the only national museum in Kigali, do not dare attempt to leave Kigali without visiting it at least once. For a country that is striking a fine balance between technology, business, innovation and preparing the next generation of IT leaders in Africa is what kLab does. kLab, a community of technology wizards and entrepreneurs is one of the spaces that play an important role in growing and supporting the Rwandan ICT entrepreneurs community. By transiting at kLab, techpreneurs are coming up with viable ICT solutions, being able to sell them and earn a living out of it. But this space isn’t only for experts, it also has different programs of mentorship, capacity building, networking events and inspirational talks. So let your inner nerd come out!